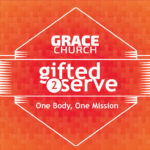 As we complete this section dealing with spiritual gifts we will deal with one of the most controversial questions in this passage. But before we do I want to ask you a question. Have you ever said something that was completely correct and right but someone walked in and heard only a portion of the conversation and took something you said the wrong way? Or maybe you have done that, You walk into a conversation that is already happening and as you hear what is being said you take it to means something else? That is kind of what has happened with these verses for a lot of years. People read a few of these and get so frustrated or fearful that they being to pick and choose what they believe. Or try and argue the validity of scripture. Let me say up front, I believe every thing that this book has to say and we don’t have the right or the ability to ignore or cut out parts of the Bible we don’t like or disagree with. What we need to do is read, study and understand the word. Then work to apply it to our lives no matter what it says. 26 What then shall we say, brothers and sisters? When you come together, each of you has a hymn, or a word of instruction, a revelation, a tongue or an interpretation. Everything must be done so that the church may be built up. 27 If anyone speaks in a tongue, two—or at the most three—should speak, one at a time, and someone must interpret. 28 If there is no interpreter, the speaker should keep quiet in the church and speak to himself and to God. 29 Two or three prophets should speak, and the others should weigh carefully what is said. 30 And if a revelation comes to someone who is sitting down, the first speaker should stop. 31 For you can all prophesy in turn so that everyone may be instructed and encouraged. 32 The spirits of prophets are subject to the control of prophets. 33 For God is not a God of disorder but of peace—as in all the congregations of the Lord’s people. 34 Women should remain silent in the churches. They are not allowed to speak, but must be in submission, as the law says. 35 If they want to inquire about something, they should ask their own husbands at home; for it is disgraceful for a woman to speak in the church. Ok, Let’s deal with the elephant in the room. What is the most conversational part of this section, vs 34-35 right? The language of these 2 verses have created many arguments in the church world, and in fact have caused some to walk away from the church all together. Today I hope that we can come to an understanding of these verses that instead of causing division causes us to pursue God together more fully in unity. 26 What then shall we say, brothers and sisters? When you come together, each of you has a hymn, or a word of instruction, a revelation, a tongue or an interpretation. Everything must be done so that the church may be built up. Notice the first thing that Paul says here is brother AND SISTERS. The accusation that Paul is misogynistic or anti-women is not found here. Paul says each of us play a part in the worship and service of the church. Not just men. It is brothers and sisters. Second we notice that not every gift is listed and things that are not listed as gifts are listed here. What does that mean? Simply, to me, it tells me that the supernatural giftings are not the only way that God uses us to bless and build one another up. Third is simply he is changing the subject away from specifically talking about the gifts themselves and is transitioning to how do we operate with these very sensational gifts in the church without becoming a distraction or a hindrance to what God is trying to accomplish when we come together as the church. Lastly Paul reminds us once again that the purpose of our service and everything we do in the church service is designed to build one another up. Remember as we talked about last week this was the major issue Paul was addressing in the church. It was a very self centered idea of worship. They can to the church not to build one another up but instead they came with that consumer mentality and their “worship” was actually just self centered gratification. Paul tells us we all need to be part of what God is doing. One of the things that grieved me a couple of years ago was the idea that when I came everything centered around me. I was the one preaching, and teaching, and leading worship. Let me say this up front. My desire is not that this is a one man show. I want us all to be more active in our worship service. God has been adding people to us that have a heart and ability to do this. Stan is teaching Sunday school. We have some people beginning to step into leadership on the worship team who can begin to lead our worship. We are discipleing others to preach and lead in other ways in our service. That is exciting to me!! That is part of what Paul is talking about here. Lets keep pursuing that together. 27 If anyone speaks in a tongue, two—or at the most three—should speak, one at a time, and someone must interpret. 28 If there is no interpreter, the speaker should keep quiet in the church and speak to himself and to God. Paul now gives specific information as to what this looks like and how it is to operate in the church. Now remember as we discovered last week tongues as Paul is addressing here is an unknown language addressed to God not to others, for the purpose of proclaiming His praise. It’s value is not found in revelation of words to the people, it’s value is to the one speaking that they are being used by God. Paul says if this is being exercised in the corporate gathering there are rules for how it should be done. 1. The maximum should be 2 or 3 people who should exercise this gift in the public gathering. 2. It is not a free for all, they should do it in turns, one at a time. How many of you have go been part of a charismatic church before. Is that typically what it looks like? From most of my experience that is not what I have seen. Instead I have seen all kinds of commotion, very little lack of order. There is a pattern that Paul uses to here in how he address the subject that I want us to see because it will help us later to understand verse 34-35. Paul addresses them and declares the rules. Then he comes back and clarifies the rules. Paul says rule, tongues must be interpreted, The clarification is if there is no interpreter then the person who wishes to exercise the gift of tongues should “keep quiet” in the church. And speak to himself and God. That does not mean that the person speaking in tongues is wrong, or that they are of lesser value than the others in the church. It is just the order of what God has said. Everyone follow that?? The interpreter is not more important than the tongues they are just given as a partnership to edify and build up the body. No dissension or confusion just order and deference to each other so that God is glorified and all are built up. So see the pattern once more… Rule then clarification. 29 Two or three prophets should speak, and the others should weigh carefully what is said. 1. Once again a limit to the number of speakers. In vs 30-33 Paul clarifies this rule. 2. And there is a second rule. Others should weigh carefully what is said. This is where vs 34-35 come in. Lets deal with the clarification of the prophets speaking. 30 And if a revelation comes to someone who is sitting down, the first speaker should stop. Paul first says if someone has been given something from God to add to the service that we are to give them the opportunity to speak. This is one of the reasons I enjoy and ask for feedback when I preach. I want to encourage you to speak out and share what God is revealing to you. Now notice this is not to share opinion, it is to share revelation. If what is being shared is not helpful or orderly then it is probably not revelation. I am sure you have experienced this before where someone is given the floor to speak and all of the sudden we are on a rabbit trail. That is not the gift of prophecy. In fact that is often being self centered in our worship and making it about ourselves not about what God is revealing. 31 For you can all prophesy in turn so that everyone may be instructed and encouraged. 32 The spirits of prophets are subject to the control of prophets. Paul reminds us that we all can take turns and learn from one another. Then he tells us the spirit of the prophet is subject to the prophet. This is not just to be applied to prophecy but in all areas of exercising our gifts in the service. This week in our worship practice time we experienced this very thing. As we were practicing there was something off in our practice and Glenn asked the question, who is leading this song? That was a clarifying question because we were not sure who we were to follow. At that point I had to step back to let someone else lead. That is a good thing! it means we cooperate not compete with each other. We are in control of our giftings and we can use then to build up and encourage one another. Also we see that God will not violate our will and make us do something in the service that will bring confusion and disruption. God is not going to force you to do anything uncontrollable. Side Note: God desires for our worship to be led by the spirit but not a frenzy of uncontrolled people. Now it is important to notice that excitement and control are not in opposition to one another. Excitement is a good thing. Exuberant worship is good. That is not a sign of being out of control. Enthusiasm is important. In fact the word enthusiasm is important. If you break that word down it literally means possessed by God. En – in : Theos – God. We need a little more “ENTHUSIAMS” in our worship (can i get and AMEN) but it can still be ordered and controlled by God. Now lets get to the really difficult verses. This is not meant to be a blanket statement of any speech in the church, It is intended to clarify who has the responsibility to weigh and judge prophecy in the church. This text is not a call to ban women from leadership, as it has often been used as. If it were, we would have to wonder why Paul says in 1 Corinthians 11 that women should, and do, pray and prophesy in the church. It would also be strange that Paul ends his letter to the Romans by greeting Phoebe the deacon and Junia the apostle among a host of others who are servants and leaders in the church at Rome. It would also be out of character, with his comments to the Galatians that in Christ Jesus, there is no longer Jew or Greek, slave or free, male and female. They have been made one (Gal 3:28). So what could Paul mean? First we must understand that this is an authority and submission issue. 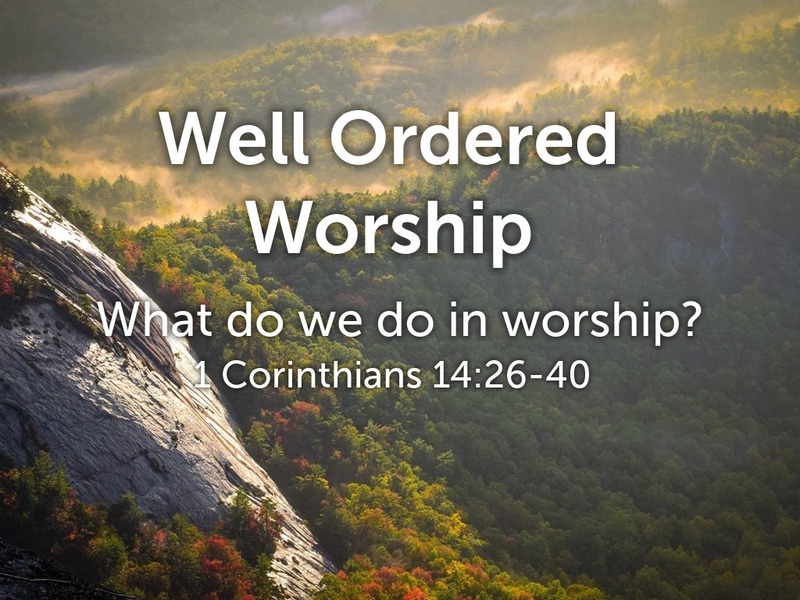 Paul actually begins his talking to the church about these issues in worship in Chapter 11. Here he addresses the fact that the women in the church of Corinth were not respecting the authority structure as it was ordained by God. So here Paul returns to that theme and reminds them that it is not the place of the women to critique or judge or argue over a prophecy. This is the job of the elders specifically in the church and of men in general in their household. There are a few practical reasons for this. First and while this may seem stereotypical it is largely true. Women, by in large, allow emotion to flavor their judgement and decisions. This is how God has made them and it is not wrong! It is a needed part of the church and social structure we live in. There us a great video that we do not have time to watch this morning by pastor and marriage counselor Mark Gungor call a tale of two brains. In this video he explains that men and women’s brains are wired different. He says men are waffles and women are spaghetti. What he means by this is that men are very good at compartmentalization while women are more integrative in their thinking. The second practical reasoning for this was that culturally in Paul’s time women were not largely educated in theological study. They were mostly educated in domestic management (caring for the family). So for them to speak openly in the church service and “argue” over the truth being presented would lead to more confusion of those in the gathering. Last would have been the fact that if a man prophesied and then his wife stood up and corrected him in the service that would be seen as disrespectful and inappropriate. So Paul is not making a blanket statement about women speaking in church, instead he is giving rules for how prophecy was to be tested in the church service. Paul then asks a couple of rhetorical questions. He basically is reminding them that His own authority is from God. He is speaking not from his own ideas but from the truth that God has told him to speak. Finally he placed a warning that if this principle is ignored, then they should not give weight or power to those who are violating these rules. Notice Paul once again addresses bothers and sisters, be eager to prophesy. Paul obviously is not saying that women should not speak in church. But he reminds them that whatever they do it should be done in a way that honors each others and build each other up, according to the rules. Rom. 15:5-6 – May the God of endurance and encouragement grant you to live in such harmony with one another, in accord with Christ Jesus, that together you may with one voice glorify the God and Father of our Lord Jesus Christ. Rom. 15:13 – May the God of hope fill you with all joy and peace in believing, so that by the power of the Holy Spirit you may abound in hope. For more from this series you can CLICK HERE.